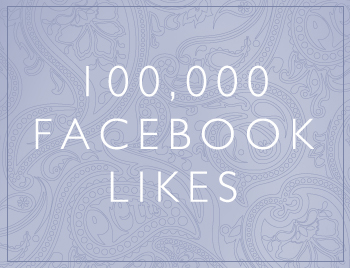 We've made it to 100k likes on Facebook! A huge thank you to everyone that has liked our Facebook page and continue to follow the brand. To celebrate this landmark we're running a unique competition to choose one item from our Green Label Outerwear collection for one lucky winner in our Facebook community. To enter you simply need to share and like our 100k Likes post. Terms and conditions: No purchase necessary. Share and Like the facebook post for the chance to win one piece of outerwear from our SS13 Green Label outerwear collection. This offer is valid on SS13 Green Label outerwear only. Pretty Green is not responsible for late, incomplete, inaccurate or illegible entries that are not received, in whole or in part, due to computer, Internet, or electronic malfunction, failures or difficulties. All entries are subject to the eligibility requirements stated below. The closing date for entries is 19th April 2013 at 23:59 GMT Standard Time. The prize is non-transferable and excludes all other costs and arrangements. No cash equivalent or alternative prize will be given on request of the winner. A random drawing will be conducted by a Pretty Green representative, which may be a Pretty Green employee or a third party administrator within 72 hours of the closing date from among all eligible entries received. The winner will be notified via Facebook. If a potential winner cannot be contacted within 48 hours, s/he will be disqualified and an alternate entrant will be selected. Pretty Green reserves the right to amend the terms and conditions of this offer at any time and to take appropriate action including cancellation of the offer if it deems such action necessary.